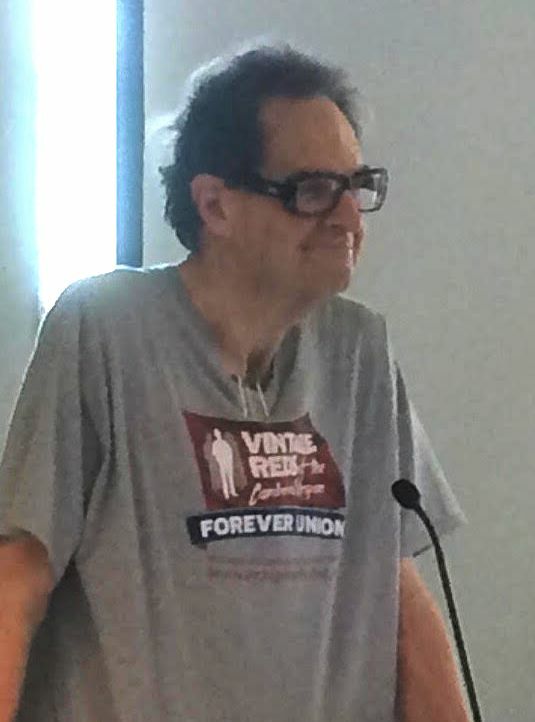 As the new year begins, the Australian Society for the Study of Labour History farewells our long-standing President, Nikola Balnave, and Treasurer, Anthony McLaughlin. To Nikki and Anthony we extend our deep appreciation for their work on behalf of the Society. Nikki will continue her involvement with the Society through the Sydney Branch, and the Editorial Board. We also pay tribute to Andrew Moore, who stepped down from his role on the Editorial Working Party of the journal, Labour History. Andrew has served the journal with distinction for many years and we are grateful that he will continue this involvement with the Editorial Board. We welcome Stuart Macintyre as our incoming President, and Phillip Deery our incoming Treasurer. Our thanks to all of our friends, subscribers, and members. We wish you all a healthy and happy new year. We also start the new year with a fundraising campaign. Until the end of January 2019, tax-deductible donations can be made via the Australian Cultural Fund. We are grateful for all donations received, large or small. All donations over $2 are tax-deductible and you’ll be supporting a Society committed to illuminating and analysing ideas and events that matter. 80 Beaufort Street, Perth, WA. Click here for more details or contact the conference convener, Associate Professor Bobbie Oliver (bobbie.oliver@uwa.edu.au). 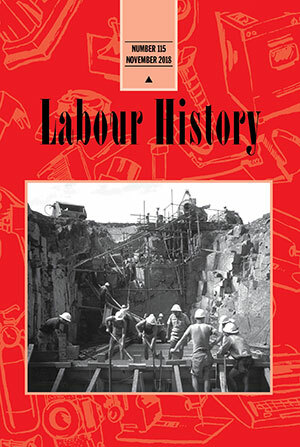 Publishing labour history is always subject to the range of research undertaken by our authors. In this issue, unexpectedly and unusually, we have a distinct focus on the later twentieth century. 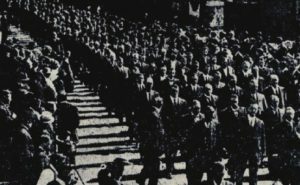 Key events like the Cold War, and notable individuals who influenced them or the labour parties of Australia and New Zealand, are illuminated. Other articles offer insights into unionism in newly emergent industries or changing workplaces, the impact on workers of the enactment of new economic theories, new social movement’s strategies and debates, and consideration of new types of sources for study in the field. Click here for more information. We have just formed a partnership with Liverpool University Press, who will help us to maintain the quality of Labour History and enhance its profile, marketing and audience reach. This will secure the future of the journal for at least the next five years. All editorial arrangements will stay the same, and the cost of individual subscriptions will remain unchanged. For more details, click here. APCD Lecture Theatre, Hedley Bull Centre, ANU. Dunera Lives posited that visual material is the archival text out of which the narrative emerges. Following W.G. Sebald’s Austerlitz, this approach to historical writing entails traps as well as opportunities. What is there in the Dunera story that is either left out or expressed in ambiguous ways by adopting a visual approach? This lecture offers a modest assessment of what historians can know and what they cannot know through an exclusively visual approach to narrating the past. 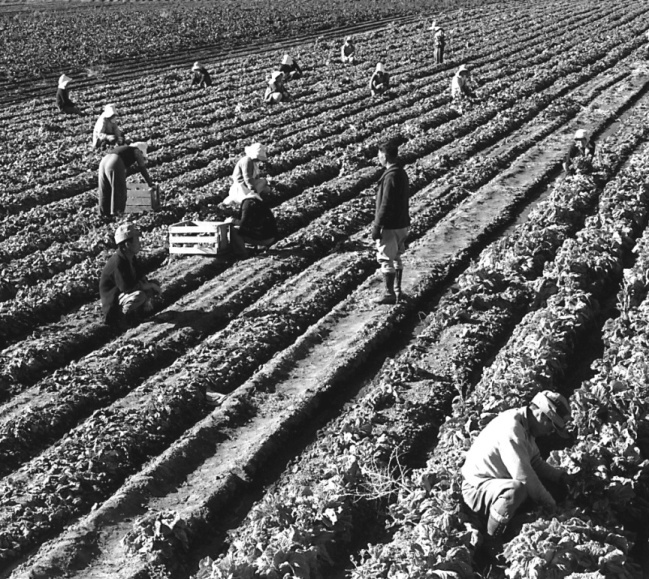 The ITH Conference 2019 aims at strengthening the links between labour history and rural history. It intends to address the topic “working on the land” from two different angles: firstly, agricultural work as co-production of society and nature and, secondly, rural labour relations as elements of larger political and economic systems. 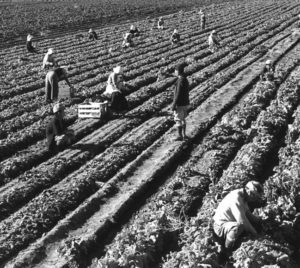 Contributions to this conference will explore how these two perspectives complement each other, identify research desiderata and blind spots in the respective other, creatively develop bridges and contribute to the theoretical, methodological and empirical enrichment of the history of agrarian work and labour. Proposals due by 6 January 2019. Click here for the full call for papers. LAWCHA Conference, 30 May–1 June 2019, Duke University Durham, NC. Labor, migration, and organizing have frequently coalesced. LAWCHA seeks presentations that examine how these phenomena have interacted across time and space. The program committee encourages the submission of: transnational and comparative panels; sessions focusing on labor migration and resistance (including but not limited to the era of global trade in enslaved human beings; labor migrations driven by imperialism and colonialism; refugee migrations following wars and other forms of violence, and the labor migrations of the past 40 years sparked by neoliberal foreign investment, debt and loan policies). We encourage presentations examining workers’ movements in the United States, across the Americas and beyond. We also encourage presentations that consider issues in teaching and public history topics. In particular, we seek panels that will focus on the ways race, ethnicity, gender, citizenship status, and sexuality shaped mobility and how workers built class-based communities and social movements in diverse geographical spaces, both historically and in the present. The deadline for submissions: 1 October 2018. Click here for further information or contact lawcha2019@gmail.com. 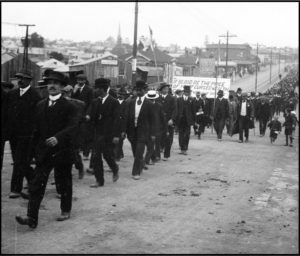 A Call for Papers for a special issue of Labour History. 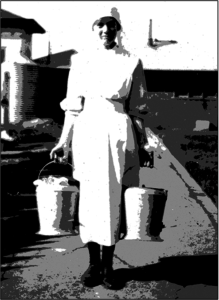 We invite contributions on all aspects of women’s work, waged and unwaged, in the formal or informal economies, in “traditional” or “non-traditional” occupations. We also welcome gender history perspectives examining the historical constructions of masculinities and/or femininities in the workplace. To submit a paper for consideration and double-blind peer review, please email Carl Power (admin@labourhistory.org.au). New Deadline: 29 October 2018. Click here for more information. For any questions related to the Special Issue, please contact the editors, Professor Glenda Strachan (g.strachan@griffith.edu.au) or Dr Emma Robertson (emma.robertson@latrobe.edu.au). 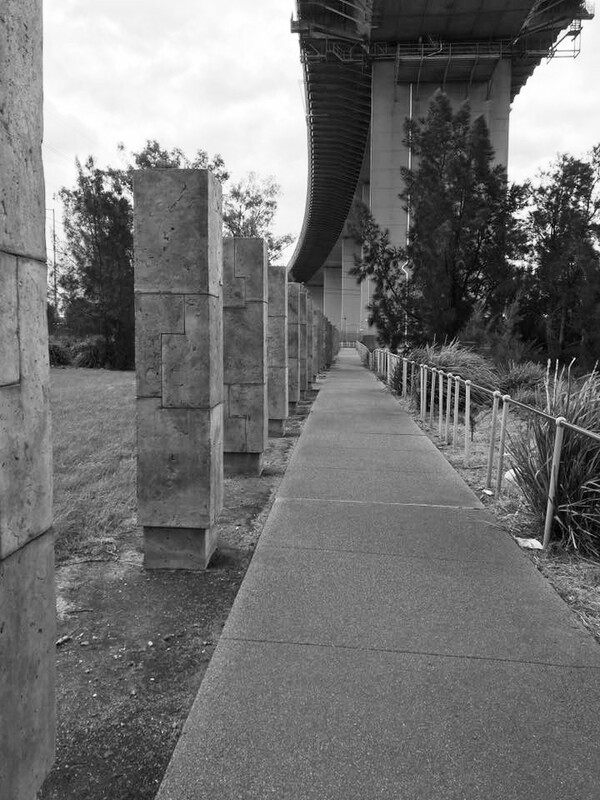 In 1970, the West Gate Bridge collapsed during construction. This memorial park commemorates the 35 lives lost. 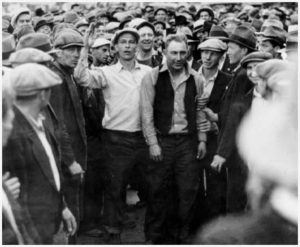 A Call for Papers for a special issue of Labour History (May 2020). 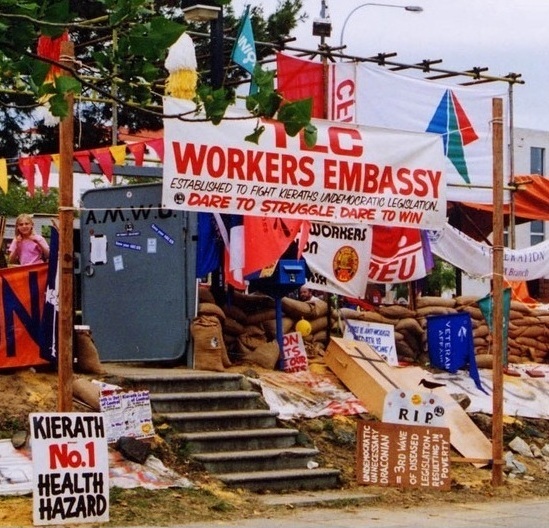 In 1997, Labour History published a special issue of occupational health and safety scholarship, grounded in an ongoing concern that workers, their families, and their communities pay a heavy price for workforce participation – the toll from toil. 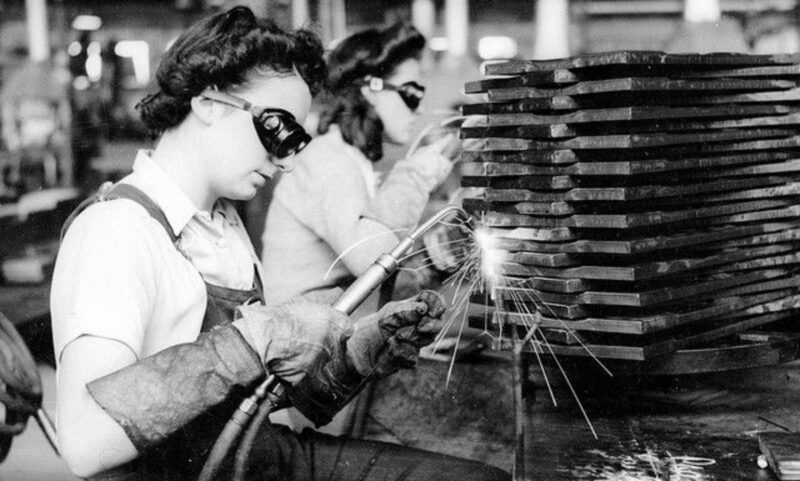 The aim of the special issue was to demonstrate that labour history scholarship can make a valuable contribution to understanding of occupational health and safety problems in the workplace. Twenty years on, the growth of “new” forms of work organisation prompts a similar urgency to maintain our commitment to critical research that can help to promote safety at work. Deadline for submission: 1 August 2019. To submit a paper for consideration and double-blind peer review, please email Carl Power (admin@labourhistory.org.au). Click here for more information. If you have any questions, please contact the editors, Professor Michael Quinlan (m.quinlan@unsw.edu.au) or Dr Sarah Gregson (s.gregson@unsw.edu.au). 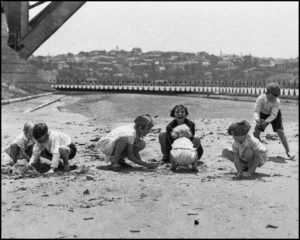 Very little has been written about the history of children’s play in Australia pre-1950. Emily Gallagher, a PhD student at the Australian National University, is researching the lives and experiences of Australian children in this period. 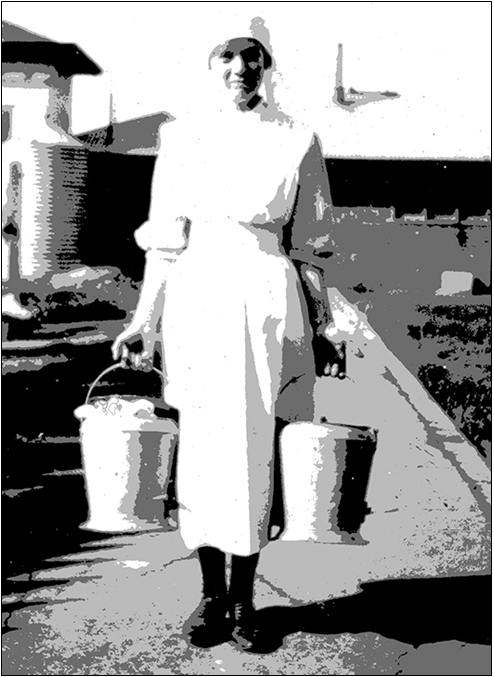 She is especially interested in billy-cart and bicycle play, doll play, war play (particularly the re-enactment of colonial and frontier violence), fairy and monster folklore (eg giants, ghosts, wild animals and evil fairies), collecting cultures (including the collecting of bird eggs, postcards, marbles and cigarette cards) and the building of cubby houses or any play with fire or water. She also has a strong interest in juvenile writing clubs, school magazines and children’s nature writings. Click here for more information about this project. If you are able to assist Emily Gallagher, please email her (emily.gallagher@anu.edu.au). The Unions NSW 1917 Strike Committee has launched an online appeal for funds to restore the Rookwood Cemetery headstone of Merv Flanagan, the striking carter who was murdered by an armed strike-breaker during the Great Strike. Funds raised will be used to honour Merv’s legacy and that of all those who participated in the Great Strike. Click here for more information. 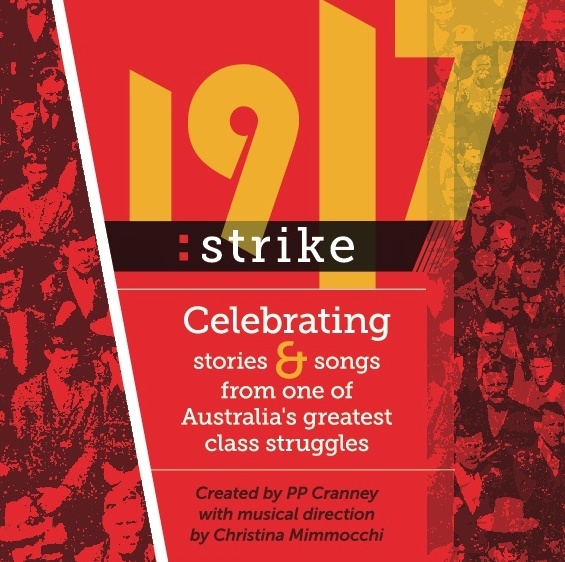 The 1917 Strike show was put together by P. P. Cranney and Christina Mimmocchi and tells the story of the Great Strike in words and song. 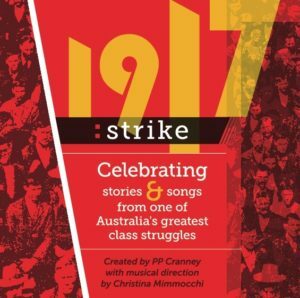 Performed throughout 2017, a recording is now available on CD by contacting Christina Mimmocchi (christinapossum@bigpond.com). Click here to see a clip of a song from the show. 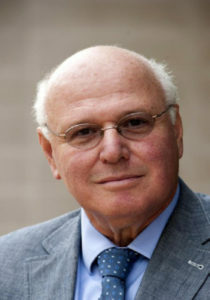 Click here for a transcript of the lecture. Written by Reg Hamilton, this work brings together, probably for the first time, the Australian Basic Wage, National Wage and Safety Net decisions of the last 100 years, together with each of the movements in the Australian minimum wage. Click here to download the paper. The decisions and orders that established and varied the Australian minimum wage are now available online and can be accessed here from the Fair Work Commission website. 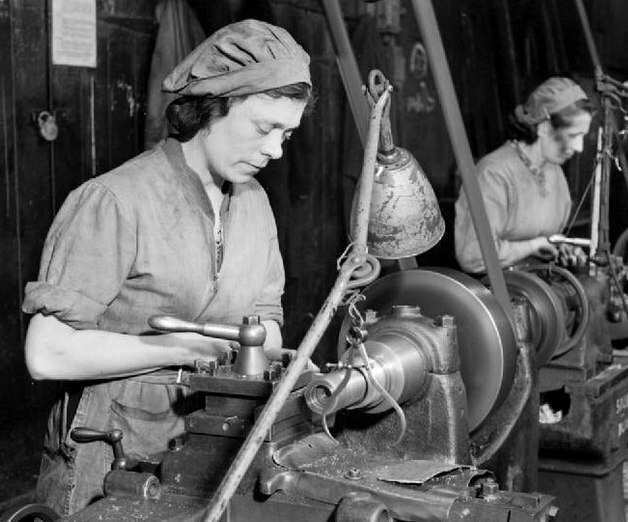 This book informs debates about worker participation in the workplace by analysing comparative historical data relating to these ideas during the inter-war period in Australia, Canada, Germany, the UK and the US. The issue is topical because of the contemporary shift to a workplace focus in many countries without a corresponding development of infrastructure at the workplace level, and because of the growing “representation gap” as union membership declines. Click here for more information.